The ArtLaser CNC Laser cutting machine is the newest machine offering from WestingCUT, and is most suitable for demanding applications requiring extremely high cut quality! Through the lens and the reflector, the laser beam energy is focused to a very small region, and this high degree of energy concentration causes rapid localized heating / cutting, with little or no distortion. With laser technology the user can realize accurate cutting for complex shapes, even with semi-finished materials. The high quality of the laser cut eliminates the need for any additional processing of the cut surfaces. 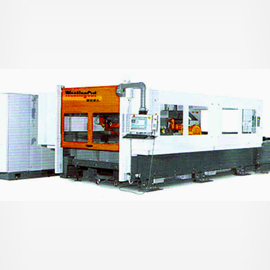 Machine speeds up to 120 m/min deliver increased productivity and cutting capacity! Materials that can be cut Carbon steel, Stainless steel, Alloy steel, nonferrous metals etc.